To Daytrade Forex or NOT to Daytrade Forex.. That is the Question..
Well, actually for me, there’s an easy answer to that question. Why? There’s no range. Spread costs eat you alive. The brokers widen the spread to try to prevent you from profiting from the best moves. There’s just too much adversity. 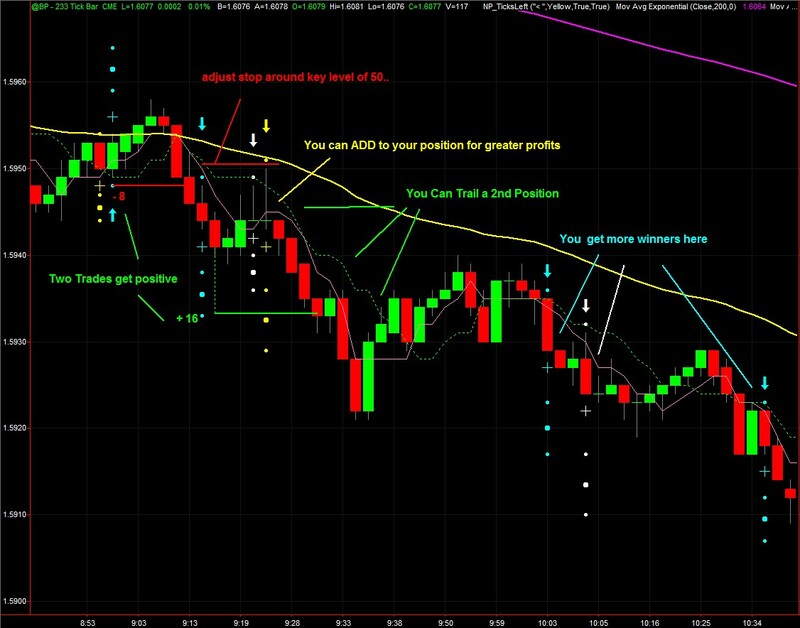 Moreover, there are so many other GOOD daytrading markets that are so much EASIER to prosper with. That being said, how about trading currency futures? You get to trade via a centralized market and exchange. You pay tiny commissions instead of costly spreads, and you get enough good daytrades to make it worth your time. One of my favorite markets to trade, as a way of diversifying my daytrade routine, is the British Pound Futures contract with a 233 tick chart. This is such an easy tradeplan, too. I just trade using our ‘Power of Quitting 1’ approach. Quite simply, that means I trade to get one good winner and a positive result. IF I don’t win on the first trade or two, I keep trading until I get positive, or 11 am, whichever happens first. Most of the time, I finish positive and in fact, it is often on the very first trade. Easy peasy!